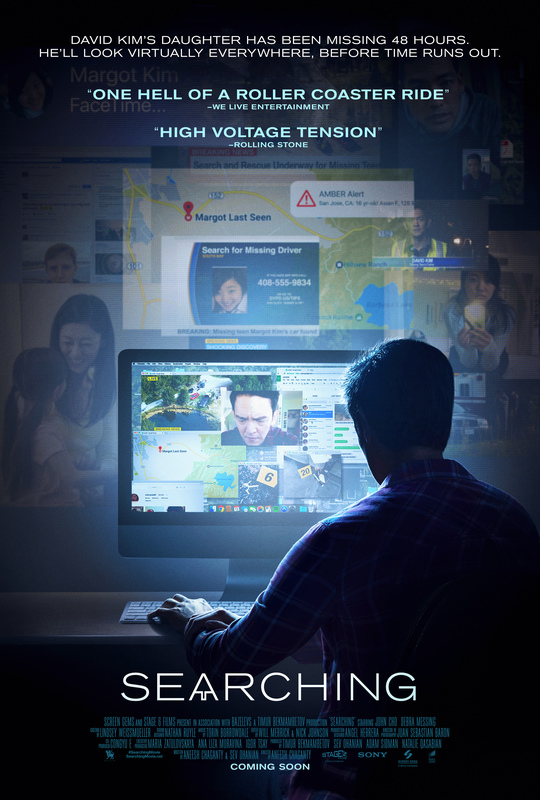 Cleverly constructed from the start until the end, Searching is a mystery thriller that utilises modern technology in such a way that the movie feels – for much of its running time at least – like it hasn’t been filmed at all. Using a variety of virtual photography tricks and sleights of hand, we see the action unfold within the foreground of computer screens and other electronic devices, and against a backdrop of computer apps. Sometimes there’s so much going on on the screen that it’s hard to take it all in, but it’s all so cleverly assembled and handled that, much like reading subtitles, the eye and the brain soon compensate and pick out what’s relevant and what isn’t. David is our guide, and in Cho’s more than capable hands, we follow him willingly as he begins to piece together the various clues that go to make up the details of Margot’s disappearance. Whether he’s using FaceTime or Google or accessing photos, or trawling through Margot’s vlogs on YouCast, David takes us on a journey that is fascinating and akin to exploring a foreign country. 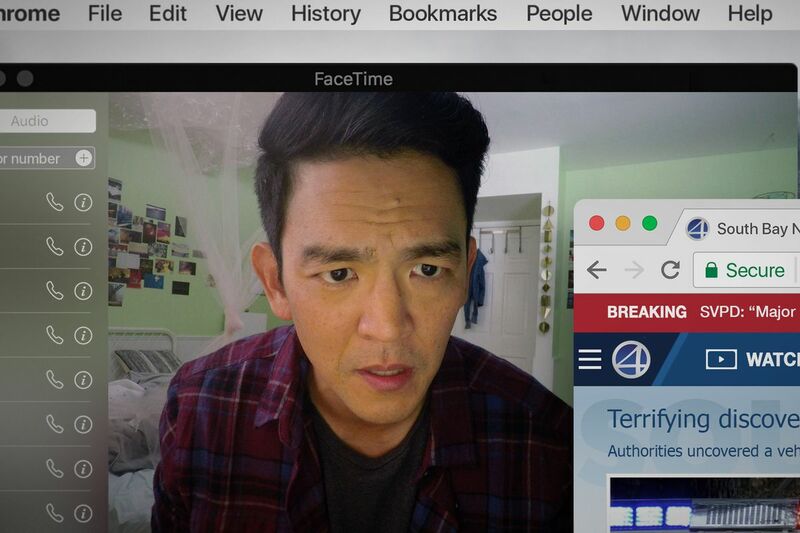 With the movie’s visuals broadening to include news footage (amongst others), and remaining compelling until the end, it’s a shame then that it’s all in service to a screenplay by director Chaganty and Sev Ohanian that can’t sustain the initial promise of its first hour. In amongst all the internet pages and online research that David carries out, and amid all the relevant information that Margot leaves behind (unknowingly), the script throws in a number of massively signposted clues that will have keen-eyed and -eared viewers shaking their heads in disbelief at how obvious the solution is. Up until the hour mark, Chaganty has kept the mystery elements front and centre and each twist and turn of the narrative has been smartly handled, but the need to start revealing things and head into the finishing stretch sees the movie lose momentum and its carefully assembled credibility. By the end, and a confession that sounds like the very definition of contrived, the movie has lost its way completely, and not even Cho, who is on superb form, can bring it back from the abyss it seems so set on throwing itself into. Make no mistake, this is a tense, visually arresting movie, but also one that doesn’t have a narrative that remains consistent enough throughout to match the quality of its presentation. 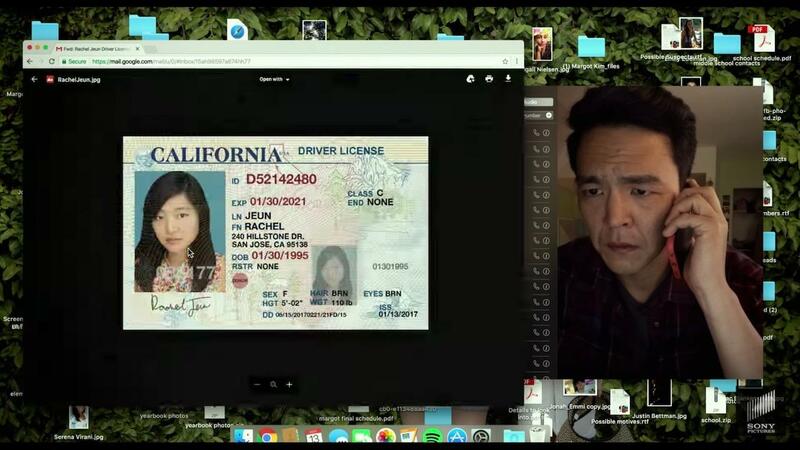 Rating: 7/10 – compelling and persuasive (for that first hour), Searching is a visual breath of fresh air, effectively handled and confidently displayed; a shame then that more attention couldn’t have been applied to the script, which lets down the visuals and which also hinders a terrific performance from Cho.